Inaugural Edition of Surpass Magazine-October 2015 . 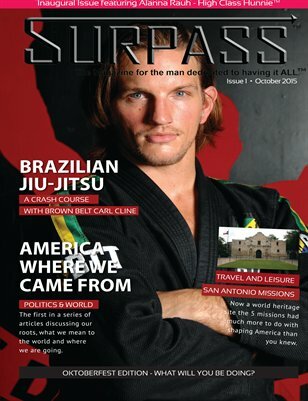 Surpass is the magazine for the man dedicated to having EVERYTHING! The publication has regular features for the man on the success road. These features include such things as Men’s Health, Finance, Success Principles, Travel, Sports, Techno and much more. Of course, what magazine for men would be complete without lovely ladies? Well we have you covered there as well. Our focus will be on the class and personal growth you deserve.